That’s what I’m trying to do right now. In fact, I even bought this little book from Urban Outfitters. I saw it and went, YES! This is quite possibly exactly what I need! The catch is, I’m not nearly organized enough to actually sit down and fill out a book like this. You’re supposed to fill in the date and answer the question they’ve given on each page and let the quote on said page inspire you. Will I keep up with it? Hopefully. I’ve already been doing a lot lately that scares me. It hasn’t been on purpose. So I’m left wondering… does this whole idea of living life to the fullest have to be intentional? Or does it count just as much if what you’re doing is leaning on the edge of survival instincts? The first page asks you to fill out a list of things that scare you. I can only think of a few things. 1) Creepy people (mostly men). Which is why I walk around with a knitting needle in my purse. Think about it… it’s probably the best unassuming weapon a girl could have on her. 2) Being late. Which is why I am usually 15 minutes early to everything. I like to scope out where I’m going, get there early, and possibly wait in the car and read. 3) Letting life pass me by. I’m only 24, but sometimes I wonder how the heck 24 years of my life have already passed. I wonder if I should have accomplished some huge goal by now. I wonder if I’ve made the right decisions. 5) Too much technology. I really like getting back to the basics. I’ve written about it before, but I prefer not to have a smartphone, a microwave, television, or get online very often. I get paranoid about “them” controlling us and having access to our every move and choice. I prefer to use an oven or stove to heat up my leftovers. I prefer a book over a TV show. I prefer writing letters to text messages. I don’t think all technology is bad, just like I don’t think ALL of Western medicine is bad. But I think enough of it is to be wary. Sometimes I feel like I can literally feel my brain turning to mush….. unless I read all day long, then my brain returns to its normal state. That’s just the tip of the ice burg, but those are the first 5 fears that came to mind. In the next weeks I’ll be sharing what SCARY thing I’m doing each day and how I felt about it. In the meantime, I’d love to know your biggest fears and how you plan to overcome them… or how you’ve already overcome them in life. I’m all for a happy medium. I’ll try to share the little joys I find each day, too. 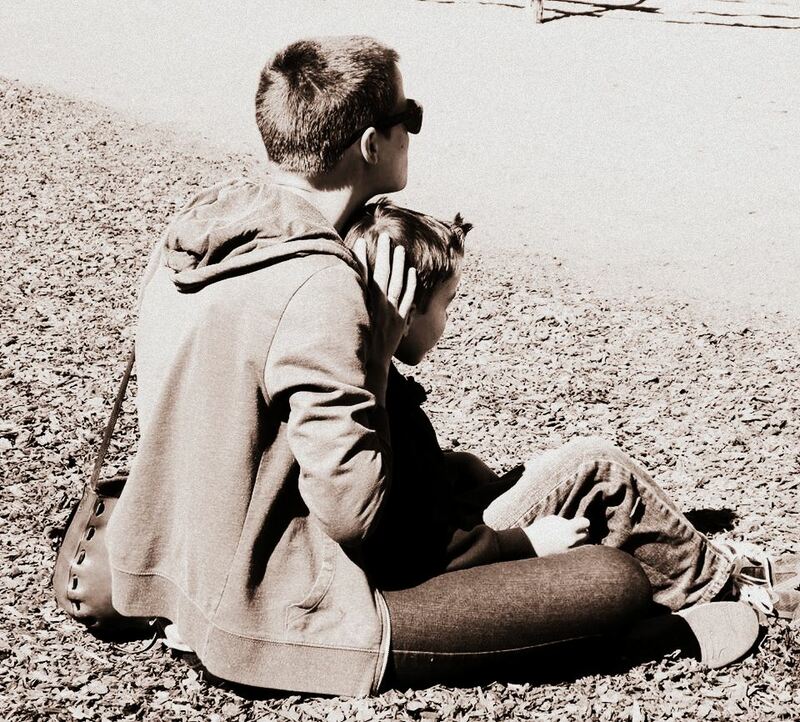 The most recent joy I had was watching my sister’s band play at the Biopark here in Albuquerque, and having my nephew Carson on my lap the entire time. We listened to the music, danced, and wound up playing “star wars” with light sabers (aka twigs) and laughing. As always, thanks for taking time to stop by Hey Lou!!!! Categories: being uncomfortable, confidence, joy | Tags: fears, life, live in the moment | Permalink. I’m like that with being early as well! I feel like if I arrive exactly on time, I’m already late. I think there are a FEW of us in the world….. ;) I feel that same way when I’m exactly on time. One thing that scares me: shaving my head. You are already a brave one in my eyes. I fully support doing things that scare you every day. I love that you are making it a focus in your life, and can’t wait to see what fears you conquer (and learn from) next. P.S. I owe you an email in a major way. It is coming SOON. I can’t wait to hear from you via email, but this is always good, too!!! Thanks for telling me I’m brave. Sometimes I need to hear it :) I think that the way you’re about to start sharing your fiction on your blog is very brave.. and I know it’s a big step for you!! yay! Once when I was in the process of making a MAJOR decision in my life and I mentioned to a wise man my fears…he told me to operate from a position of strength rather than weakness. In other words, get my fears out of the way and then see how I felt about the decision I was contemplating…that I might see it in a whole new light. Excellent advice for me! I found I could do things that I thought were standing in my way and when they were no longer in my way, I was in a stronger position to make a good decision. 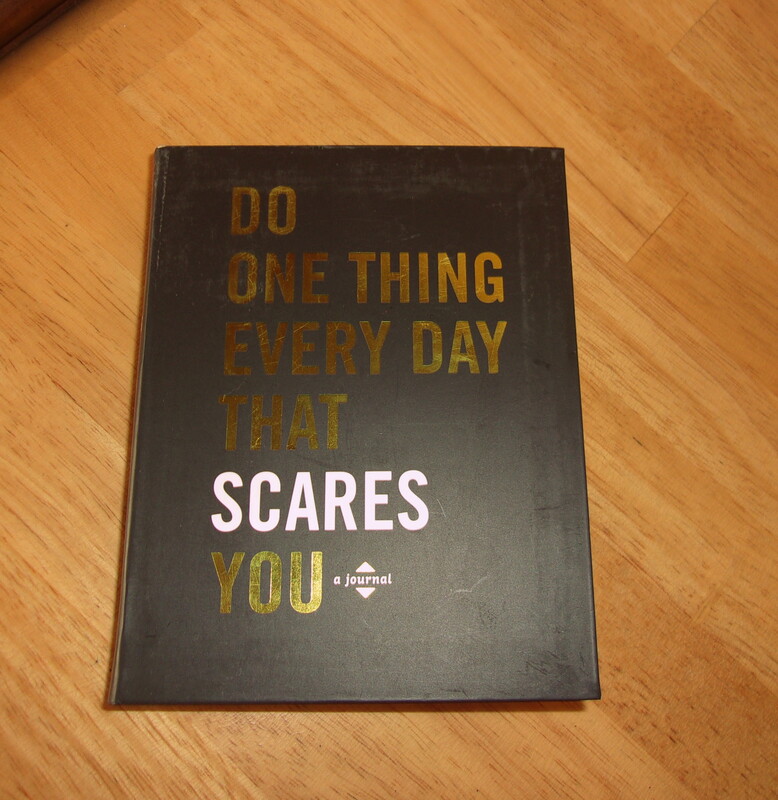 I’m not sure how doing something everyday that scares me would work out…once a week seems to be enough of a challenge! AND I really like what your friend suggested…do something everyday that you enjoy. I think most of us already do this but don’t focus on the fact that what we are doing brings us joy. Or it might be something out of the ordinary kind of like I mentioned to you on Sunday…buy YOURSELF a little bouquet of flowers. For me, today, it’s telling my granddaughter, Melinda, how much I love her. Wow! That was fun and easy! Hey. I found your blog a month ago, when i was looking for some information about pixie hair (Unfortunately in my country women wear long hair, mostly). You are such a beautiful woman! And you look so good in pixie cut. You were one of the people who inspired me to do that as well. I was so scared, but I wanted it so badly. Anyway, I am wondering, if you could write something about your clothes (and add some different photos) which you wear with this cut. It is my problem actually. Some people (especially my mom, sho hates my look now) keep saying that I should wear more feminine clothes. I am trying and I am looking for inspirations. Take care, Wiola. PS Sorry for mistakes I’ve made, but English is not my native language. Loved this post. So. I was and still am afraid of being a financial failure and not be able do provide for my family. So when I was in my mid 40s I completely retooled myself and changed careers. Stepping into something that up until that time I knew nothing about. In my life taking on a big risk as my income would solely depend on my ability to produce. But. With the encouragement and support of my wife and children I faced future with courage and strength. Nervous? Heck yea. Afraid ? Of course. Determined ? Absolutely. Thankful? Forever. As far as time flying by…. Maybe some of your readers will know this reference … “And then one day you find ten years have got behind you. No one told you when to run. You missed the starting gun.” I can relate in too many ways. By the preciously beautiful young age of 24 you possess the ability to think and pose questions as you do. You share insight into and honesty about your life. You not only contemplate but create meaning and purpose. These are not easy things to do. I believe you deservedly should be confident that you have made strides ahead. Reaching goals ? Major accomplishments ? How these are defined and made manifest is elusive and can deceive us from realizing a larger purpose. To celebrate this great gift of loving grace and abundant love freely given from our creator is never elusive. It only requires honesty and humility. You, Melinda, are clearly on a road less travelled. By sharing yourself and writing your thoughts you have inspired me. Thank you. I’m blessed to know you. Love you.